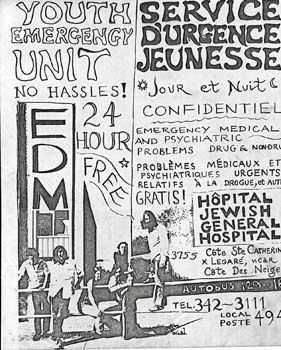 Summer of 71, the Jewish General Hospital opened a Youth Emergency Unit to work with kids with drug emergencies. Note Su Baker sitting on the fence. Note Su Baker and Joe Caron among the people sitting on the fence.